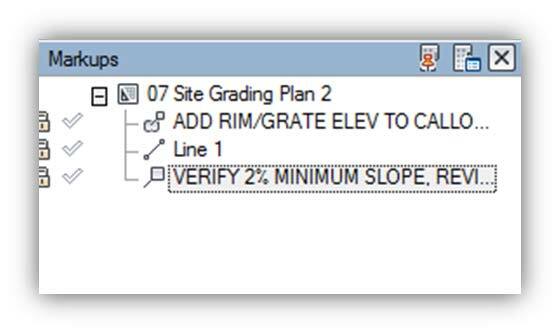 This is a recommended workflow for review of construction documents. Any variation is certainly acceptable in the effort to produce highly presentable and accurate documents! This is, perhaps, the simplest of all the major steps. 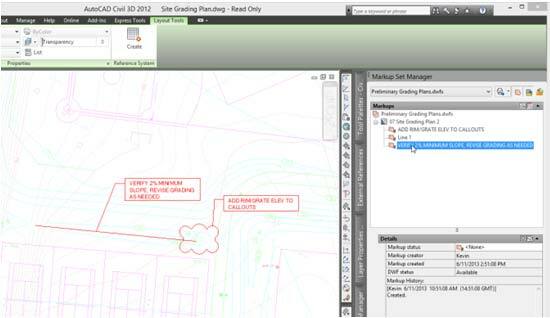 Open Civil 3D or AutoCAD. Open the Sheet Set Manager by typing SSM at the command line. 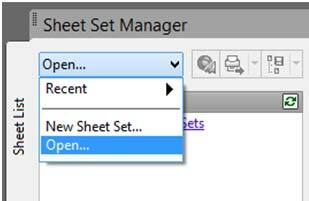 Open the project sheet set. 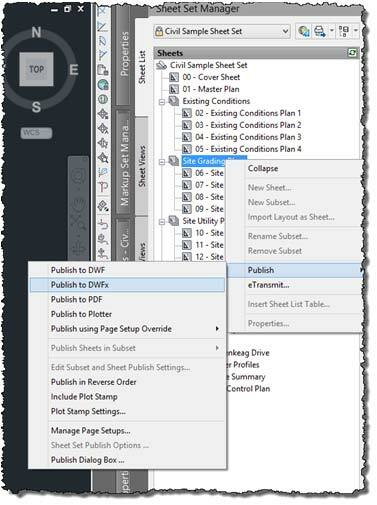 Right-click on the appropriate sheet set or sheet subset and select “Publish>Publish to DWFx” to publish the entire set or a portion. Select the appropriate location for the new DWFx file and notify the individual that the plan is ready to be reviewed and marked up. You’re in a specific drawing and you need to print it for review. Now you have a single DWFx file to share with anyone who needs to review it. Now multiply this by the number of sheets and you could end up with many single page DWFx files. That, in and of itself, is not a bad thing. However, if the intent is to have them contain markups as a single set, we could run into troubles down the road. We have two solutions; 1 – print the set as a multi-page DWFx file from the outset, Or 2 – If that is not feasible, we can merge the single files into a multi-page DWFx prior to markups being added. Alright, that sounds good, but how do we merge the single DWFx files into a multipage set? a. Click the application menu (big D in upper left corner) and select New. b. You now have a blank DWFx file open. c. On the left hand side, you will see a Markups panel with 4 tabs; List View, Thumbnails, Markups and Model. Select either List View or Thumbnails. a. Situate both Windows Explorer and Design Review so both are visible at the same time. b. Browse to folder where single DWFx files exist. c. Select the files you want to combine. 3. 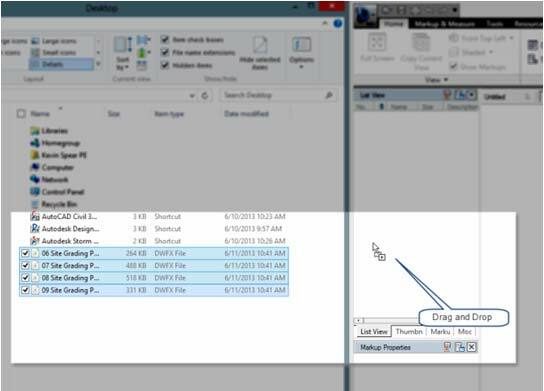 Drag and drop those selected files into either the List View or Thumbnails panel. You will see a “+” in your cursor indicating those files are being added or merged into the current DWFx. 4. Save this file in an appropriate location and then close it. There is no sync between this merged file and the original files. Once you combine these files into the single DWFx, all red lines and CAD revisions should be published here. 2. Open the newly published DWFx file. 3. Use the various markup tools on the Markup & measure tab of the ribbon. 4. 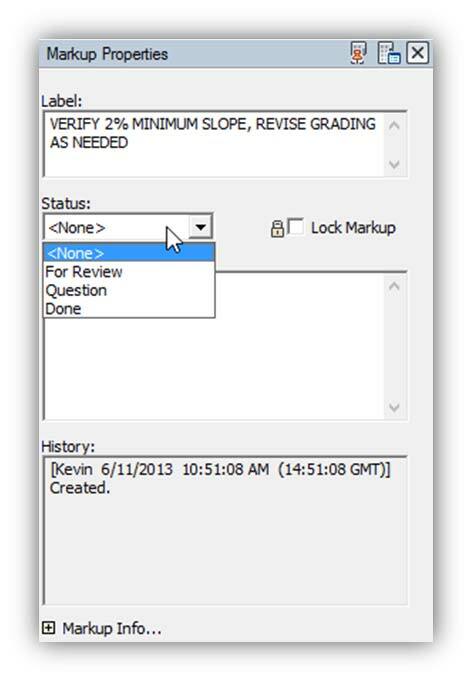 Select the markup to adjust the STATUS (For Review or Question) or include a NEW NOTE. 6. Notify the appropriate person the markups have been posted. Note: the markups live inside the DWFx file. Lastly, we’re at the last step in the review cycle; updating the drawings based on comments in the DWFx file. Open the markup set manager, with MARKUP command. In the markup set manager, open the appropriate DWFx file. 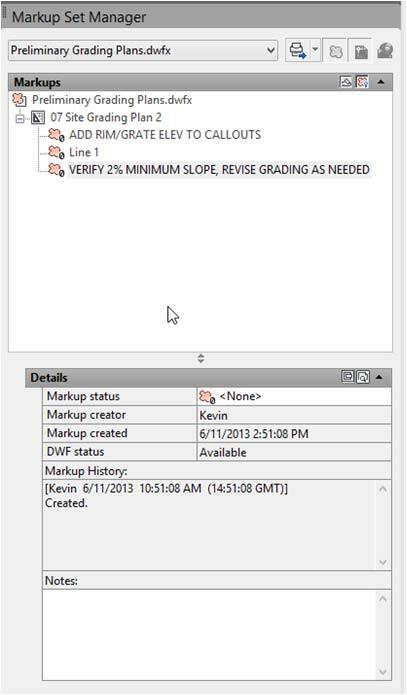 Various markups will appear in a list under each sheet that has revisions. Select a markup to see its properties. Double clicking the markup will open the appropriate file and zoom to the markup. 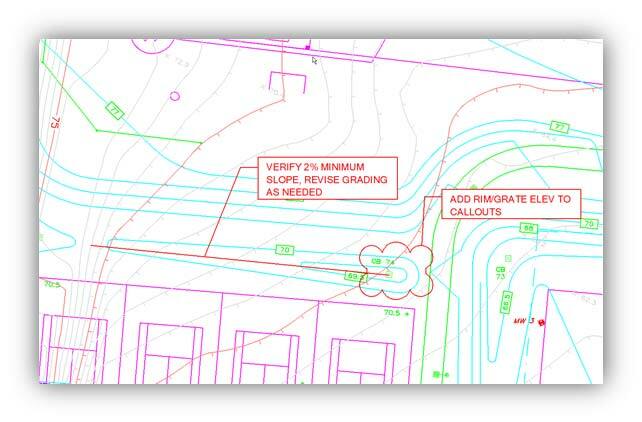 Edit CAD/Civil 3D information as needed. After all markups are done, save and close all DWG files. That is all there is to it. Design Review was created so you could work in the field or on the go. You can have stakeholders download it for free and be able to mark up drawings without owning design software. is it also possible to combine the markups from multible sheets into a single sheet? Yes, the markups from single dwf files will come along when merging into a multi-sheet dwf.